In today's episode, Allison—an alumnus of the University of Texas at Austin and the head of immunology at MD Anderson Cancer Center in Houston—talks about the uphill climb to make cancer immunotherapy a reality. He also shows off his mad harmonica skills. And check out his performance with the legendary Willie Nelson. 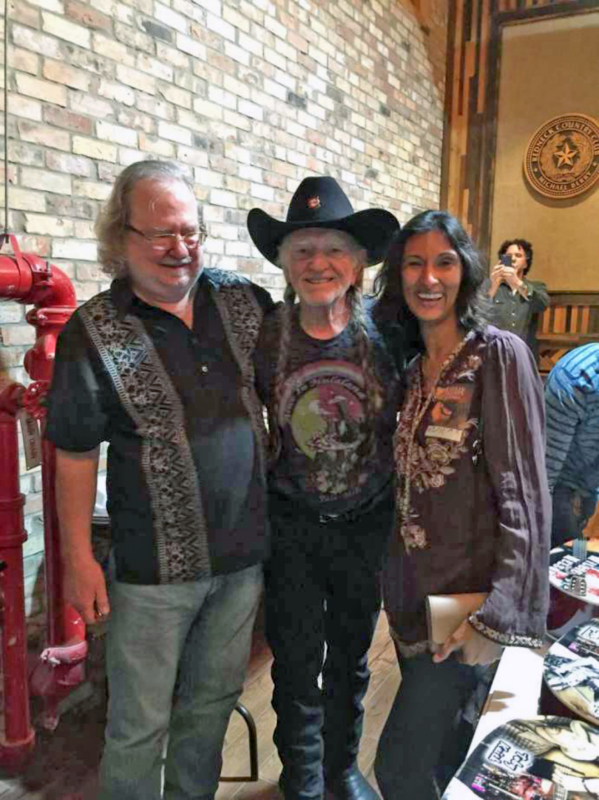 Immunologist James Allison and wife, Padmanee Sharma, with singer Willie Nelson after Allison joined him on stage to play harmonica for one of the "top five moments" of his life. Credit: Houston Chronicle. MA: You're listening to the band of Texas legend Willie Nelson, accompanied on harmonica by a special guest: James Allison, a University of Texas at Austin alumnus. It was two years ago at a roadhouse near Houston. He said it was one of the top five moments of his life. Allison has a day job, too, as a researcher at M.D. Anderson Cancer Center. In fact, he is arguably one of the most influential cancer researchers of our time. MA: This is Point of Discovery. And the discovery we're talking about today is already saving lives. Forty years ago, when Allison had just gotten his PhD in biochemistry, he was intrigued by this far-out idea that was floating around about a new way to treat cancer. The idea—dubbed cancer immunotherapy—was to train the body's immune system to attack cancer cells—the same way this system already goes after bacteria and viruses. MA: In the '70s and 80s, cancer immunotherapy was definitely a fringe idea. Prominent scientists proclaimed that because cancer cells still looked in many ways like healthy cells, the immune system would never recognize them as dangerous. For those who persisted, there were high-profile setbacks. Two drugs hailed as cancer cures—called Interferon and Interleuken-2—looked really good in the lab—but ultimately flopped. Young scientists were steered towards safer projects. MA: But James Allison has never been one to let other people's biases get in his way. When he was a biochemistry student in Austin, scientists had recently discovered the T-cell. These are the cells in your bloodstream that act like armed sentries: they identify and wipe out foreign invaders, meaning bacteria and viruses. JA: Anyway, I was just fascinated by the whole idea of you've got this cell whose whole job is to just patrol and look for stuff and deal with it—and without hurting you. MA: But no one really knew how T-cells worked. Over the next couple of decades, he and others made key discoveries about T-cells that would ultimately make the dream of cancer immunotherapy a real possibility. 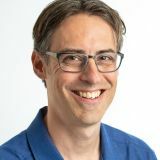 One of Allison's most important—and controversial—insights was that a receptor in T-cells called CTLA-4 acts as a kind of brake to stop it from attacking things. Other researchers thought CTLA-4 did the exact opposite—acting instead like a gas pedal. JA: So that led to a lot of controversy, and for two or three years, you know, again, at these little meetings, everybody would be yelling: It is! Is not! Is! Is not! MA: Another research team had already discovered one gas pedal for T-cells, called CD-28. That same team argued that CTLA-4 was like a second gas pedal. But Allison's experiments suggested otherwise. JA: And in fact our first paper we said CTLA-4 opposes CD-28 co-stimulation. And the guy that made the first discovery saying it was another co-stimulatory molecule, wrote an editorial about it with our same title, except he had a string of question marks after it. [laughs] And he said we were just wrong, you know. MA: When the dust finally settled—years later—it was clear that Allison and his team were right—CTLA-4 was a braking mechanism for T-cells. Which made some sense—if you have these armed sentries circulating around your body and they just keep killing, they might accidentally start attacking healthy cells. The body needs a way to turn them off. Allison reasoned that one of the ways that cancer avoids being wiped out by your immune system is by hijacking the T-cell's built-in brakes to shut it down. It was a lightbulb moment: Maybe, he thought, you could put a brick under the brake pedal and keep T-cells from shutting down. If he was right, it would unleash the full power of the immune system to attack cancer. JA: And so I had a simple idea, well, let's just disable the brakes and see what happens and just keep them going. And so sure enough, we injected this antibody to CTLA-4 which blocks the brakes and we saw tumors just melt away ... Tumors just don't melt when you inject something into mice, you know, in every strain of mouse that we tried it in. Almost every tumor that we did, either by itself or in combination with radiation or something. We found almost no tumors we couldn't cure in mice. MA: This particular flavor of cancer immunotherapy is called checkpoint blockade—it's basically blocking the "checkpoint," or brake, that prevents T-cells from attacking cancer cells. It worked so well in mice, Allison partnered with a drug company to test the drug in people with metastatic skin cancer, or melanoma. JA: I know one woman who was in the phase one trial, the very first trial of CTLA-4, or ipilumimab, is the drug name. She had metastatic melanoma, had failed every therapy. Um, they said she was hospice bound, you know, and um her doctor I know supposedly went in and said, all we've got left is this one thing, and it's never been in people before. We don't know, it may be dangerous, maybe whatever. She said, I'll do anything. I just want to live two months to see my son graduate from high school. MA: Up to this point, there had been no real effective treatment for metastatic skin cancer. The average life expectancy following diagnosis was 11 months. But after one treatment with Allison's new drug, this patient's tumors…vanished. JA: So I met her 10 years later when I visited UCLA, which is where she was treated. So one injection. Ten years later she was fine and I just checked up a few weeks ago and now she's almost 18 years out. She's fine. MA: Since it went on the market in 2011, thousands of skin cancer patients have taken ipilumamab and more than 1 in 5 have had a complete remission. There was no precedent for metastatic melanoma patients surviving for more than 10 years after treatment, but that was now happening with Allison's drug. One patient eventually realized that her own doctor was having trouble processing the extent of her recovery. JA: [51:04] Every year then she was just scared and afraid and the doctor said, don't have kids. And finally, she just said to hell with all that, I'm cured and I'm going to live my life normally. [She] started running again, had a couple of kids. Happy now, you know. But she said it just took that saying, I'm cured, dammit. MA: Allison was giving a talk once and a cancer surgeon came up to him afterwards and said you can't tell a patient they're cured if they still have a spot on their CT scan. JA: And I said, well, let me just tell you something. After three years, virtually nobody dies. So at some point you got to tell people they don't have to worry about it anymore. Just so they can have peace of mind and get on with their lives. I said, just remember, doctor, you're treating the patient, not the damn CAT scan. [laughs] … The definition of cure of course is, there's not a single cancer cell left in their body. And who could, we don't know that. But if after 10 years you're fine, why worry about it anymore? MA: Today, cancer immunotherapy is branching into treatments for other cancers. Several effective drugs are on the market and many more are in clinical trials. As chair of immunology at MD Anderson, Allison is currently involved in clinical trials that combine his anti-cancer drug with another one that helps T-cells go after cancer. Metastatic melanoma patients started receiving this combined therapy three years ago -- and so far, 3 out of 5 are still alive.That's a 60 percent survival rate—for a disease that was once a death sentence. Allison predicts that most of the people who have responded to the combined treatment will continue to live long, healthy lives. MA: So there are many people alive today that would not be alive if it weren't for your work? JA: Yeah, that's a big bonus, you know, I was doing basic science to do basic science, but you know, I had the good opportunity to see it develop into something that actually does people good. That's gratifying. MA: Here's James Allison playing harmonica with his band, the Checkpoints, which is made up entirely of immunologists. If you'd like to hear more, we've embedded a couple of clips on our website at pointofdisovery.org. 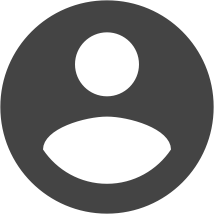 While you're there, take our survey and let us know your thoughts about this podcast. MA: Point of Discovery is a production of the University of Texas at Austin's College of Natural Sciences. Our senior editor is Christine Sinatra. I'm your host and producer Marc Airhart. Thanks for listening!